Though it is not featuring in the Gartner Q1 2013 in the top five as of yet, but Sony seem to hit the pay dirt with its Xperia Z. 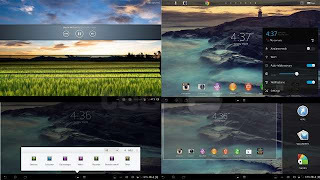 Now that Xperia Z is a success, Sony is looking forward to building a empire out of the Z series and the latest announcement is a Xperia Z tablet running on Android 4.2 Jelly Bean. 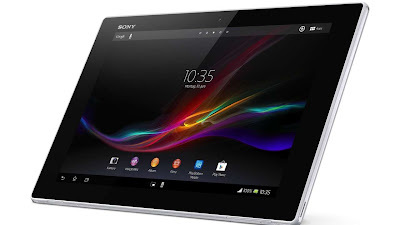 The Xperia Tablet Z remind you of its younger sibling the Xperia Z smart phone because it is as thin as Xperia Z at 6.9 mm. It is also light at 496 g.
The Tablet has the same symmetry of power and port buttons like Xperia Z but all of them have flap for water protect capabilities which Xperia Z boasts of. It has two stereo speakers at the bottom of the tablet and one on the side. Together these three allow you to enable the "S-Force Front Surround 3D" feature. The audio quality of the speakers is average. The flap-covered ports include the microUSB, microSD and SIM and the headphone jack. The sides house the volume rocker, power/sleep button and two contacts points for using it with a dock. The front side has a glossy finish while the rear has a nice matte finish available in white and black. This texture extends along the sides as well to offer better grip for holding the phone in one hand. The Table Z comes with LED-backlit LCD display with a full HD resolution at 1920 x 1200 and a pixel count of 224 ppi. It comes with a factory fitted screen guard. The Tablet Z is powered by 1.5GHz quad-core Qualcomm SoC (APQ8064) along with 2GB of RAM. The tablet has 16GB of internal memory with the option of adding up to a 64GB microSD card. Sony has added a taskbar like feature at the top of the screen which runs common across home screens. The bottom has a selection of floating Apps browser, calculator etc. These apps open in movable windows and can be opened above your current app. There’s even an IR blaster in the front; Sony’s Remote Control app lets you set it up to any popular brand of television alongwith other electronics like set-top box, DVD, Blu-ray, CD player etc.